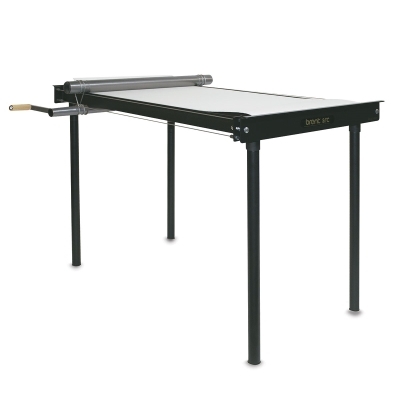 Brent's SRC Slab Roller produces slabs 21" wide × 40" long, in thicknesses from 1/4" to 1". It's available as either a table model or with easy-to-assemble, screw-in legs. The cable drive with opposing rollers allows use of a lift frame without bed flex.